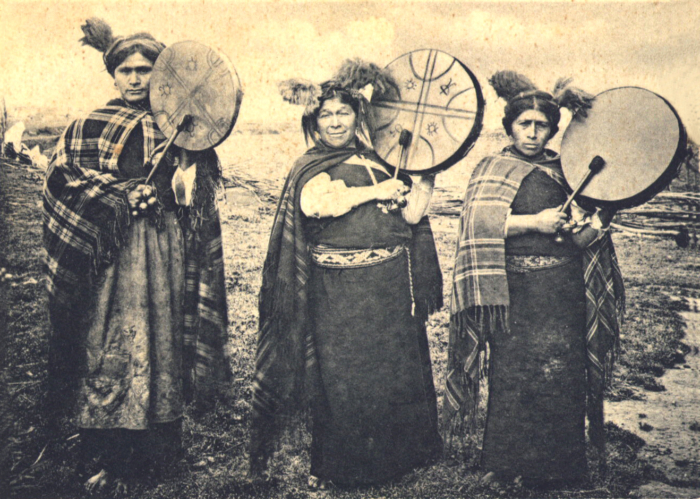 How are Mapuche indigenous people in Chile engaging with and being depicted in popular culture? This research project investigates the impact of official and popular cultural texts in the conceptions of Nation and national identity in 21st century Chile. More specifically, our project will examine how the Chilean Nation and national identity are being narrated, performed, and materialized through state sanctioned and popular culture representations. We will pay particular attention to the way that Mapuche people are both engaging in popular culture and being depicted in popular culture. We will study cultural texts, ranging from literature and art to music and film, in order to explore the problematic and at times contradictory relation between popular culture and the construction of a ‘national’ identity. In our analysis we will use an interdisciplinary lens that combines sociology, literary theory, cultural studies, ethnomusicology, among other disciplines, in the study of these cultural productions. I am a sociologist whose research explores the relationship between citizens and the state, as experienced and practiced through processes of racial formation and nation-building projects. I investigate how racial and national identities are negotiated through the politics that bind citizens and the state and how racially marginalized groups – specifically indigenous people – engage in their own processes of nation-building. To analyze these questions, I have conductedresearch in Chile and Argentina since 2003. I have an MA in Latin American Studies from the University of Texas at Austin and a PhD in Sociology from the University of Wisconsin at Madison.